Quintagroup developed Wagtail-based website featuring open source open data Ukrainian IT projects that help community. 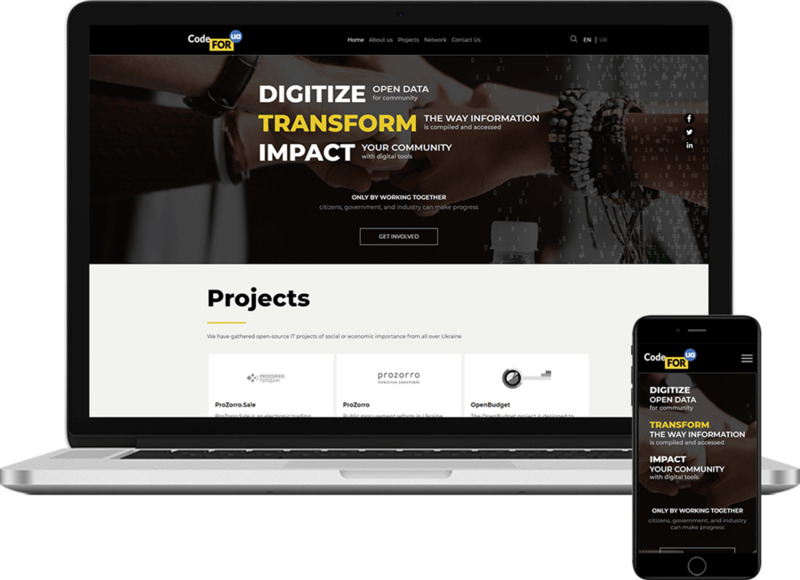 Quintagroup worked on the CodeforUA website that aims at empowering people to make a difference. Small-scale project with large-scale goal. This portal promotes open source Ukrainian IT projects that help community, have social or economic importance for the country. Special attention is paid to open data projects, since there are data that should be freely available and accessible for everyone to use and reuse without any restrictions. CodeforUA allows searching for projects based on region or sphere. This website encourages volunteering to take part in projects that matter and have value for community. Developers can improve their skills by contributing to open source repositories, solving issues, offering their own ideas. A well-organized development process and carefully picked technologies allowed us to deliver the solution on a very short deadline. Building this project from scratch, we created eye-catching yet user-friendly and responsive design. Further, we chose Wagtail, free and open source Django CMS, as the core of this project. It had a lot of needed features out-of-the-box, so less time had been spent on configuration and customization. Docker for Continuous Integration and Continuous Deployment - CI/CD.